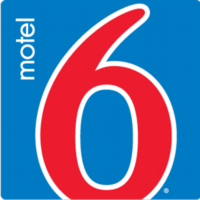 In 1962, Motel 6 was founded in Santa Barbara, California. William Becker and Paul Greene wanted to build motels to sell out at bargain rates. At the time, they decided that $6 a night per room was appropriate. That price is equivalent to about $48 in 2015. You can find the Motel 6 application link below. As part of the hotel industry, they wanted to create a cheaper alternative to chains, like Holiday Inn, that were becoming more upscale and expensive. In 1965, the company opened its first location outside of California in Salt Lake City, Utah. Over the next few years, the business continued to grow. Now, the company has more than 1,100 locations across the United States and Canada. Now owned by The Blackstone Group, the company is still a budget motel that offers its customers a few unique services. One of these is Studio 6, a chain of hotels for those who need extended stays. Motel 6 locations have a variety of amenities for guests. One great amenity is that kids stay for free, which can help cut costs for guests. There are also pet-friendly and both smoking and non-smoking rooms available for guests. Guests have access to WiFi at all locations, as well. Most locations also have a swimming pool and laundry facility. Motel 6 careers range from corporate to entry-level. Corporate employment opportunities include careers in finance, accounting, purchasing, legal and many other departments. If you are truly interested in a career with the business, you should consider that you may need to work near the company headquarters in Carrollton, Texas. If you don’t live in the area, you may need to relocate. In-store job opportunities can be either managerial or entry-level. A career in management could be a motel manager, assistant manager or general manager. Entry-level Motel 6 jobs include guest service representative, maintenance worker, laundry attendant and housekeeper. These jobs will be hourly, and they may be either part- or full-time. If any of these sound like the job for you, fill out a Motel 6 application today. How old do you have to be to work at Motel 6? To start Motel 6 careers, you must be at least 18 years old. All locations are open 24 hours a day, every day. This means that some employees will be expected to work nights and weekends. Be sure to check the positions hours before you fill out an application form. While all jobs offer benefits, Motel 6 has a few that employees enjoy. Employees who are eligible can apply for healthcare packages and life insurance. Other benefits include 401(k) retirement plan options and flexible spending accounts. Bonuses may also be granted to eligible employees. Some employees also get free housing and a company vehicle. Manager – Responsibilities of managers include dealing with banking and payroll duties. Managers are also responsible for implementing loss prevention strategies. They will also need to be willing to help will housekeeping and maintenance issues. Managers will work with both customers and employees, so it is important that they have good interpersonal skills. A typical salary for this position is between $24,000 and $45,000 a year. Housekeeper – Housekeeping positions help the motel insure that the rooms are constantly clean for guests. These associates make sure the rooms have towels and other toiletries at all times. They also need to work with chemicals and need to be able to squat, stand and lift things all throughout their shifts. Housekeepers start out making minimum wage. Guest Service Representative – Employees in the guest service representative position work with customers to book reservations and check guests into their rooms. They will also help clean as needed and will make sure that guests are always well taken care of. These associates generally earn about $8 per hour. Maintenance – The people who work in maintenance at Motel 6 are responsible for making sure the grounds and rooms are kept in top-notch condition. Maintenance team members need to be able to perform emergency maintenance tasks. These employees also have to keep the pool safe for guests. Maintenance workers usually make around $9 an hour. Why do you want to start working Motel 6 jobs? Before you applied, you probably had a few reasons why you liked the company and the position. You should share why you want the job with the interviewer, because it may help them find other associates in the future. Do you have any previous experience in the hospitality industry? While experience isn’t necessarily required for all the jobs the company offers, it can always help you land the position over others who have applied. If you don’t have past experience, tell the interviewer a few skills you have that may help you with the job. Why do you think you would be a good fit with our company? When you applied, you probably did a little research on the company. If you thought your core values were similar to those of the company, that would be a great thing to share with the interviewer. Whatever the reason, share it with the interviewer. If you would like to apply for jobs at Motel 6, you have a couple options on how to apply. If you would like to apply in-person, know that there is no printable application for Motel 6. Just as there is no printable application form, there is nowhere to select download application form. So, you will need to go to a local motel to get a free application. If you would rather apply online, you can go to the company website to browse open Motel 6 jobs online. You can also read a job description for each open position. The website will tell you how to apply for Motel 6 online. The Motel 6 job application online should be filled out as a direct application. Regardless of how you apply, you should include a resume that outlines your previous work experience. You should also be patient with the company, because it will take them a little time to review all the applications. It may take even more time if you fill out an online application. If you are asked to come in for an interview, you should show up fully prepared. To do this, you need to do a little background research for the company. You will also want to prepare natural answers to a few common interview questions like the ones listed above. Then, you should go to the interview dressed in business casual attire.